Looking to live the #LakeLife the best way possible? Check out this fully furnished Log Cabin for rent on Lake Wylie! 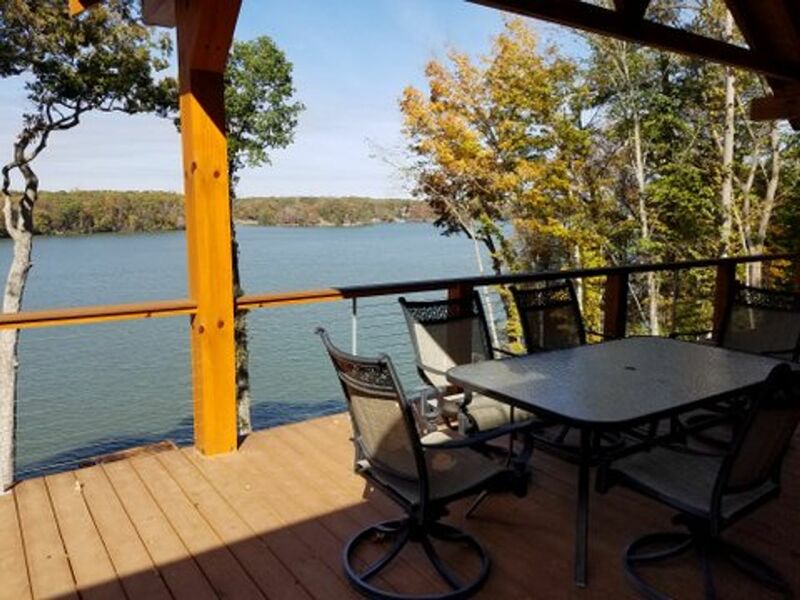 Boosting 3,200+ square feet of heated living area, this newly built beautiful log cabin sits on a hill overlooking the main channel of the lake. Located minutes from the Airport and the new Outlet Mall, this lakefront rental is great for vacations or short-long term rentals. Each of the three bedrooms comes with a lake view from this 1.2 acre lot overlooking the lake! Two separate great rooms inside plus upstairs and downstairs outdoor patio areas provide numerous areas to spread out and enjoy the Lake Life! Did I mention all the utilities are included?! The includes the water, power, gas, internet (200 MBPS speed), etc. See sawmillriverhouse.com. For more information and to check out all the pictures online at the properties website here!